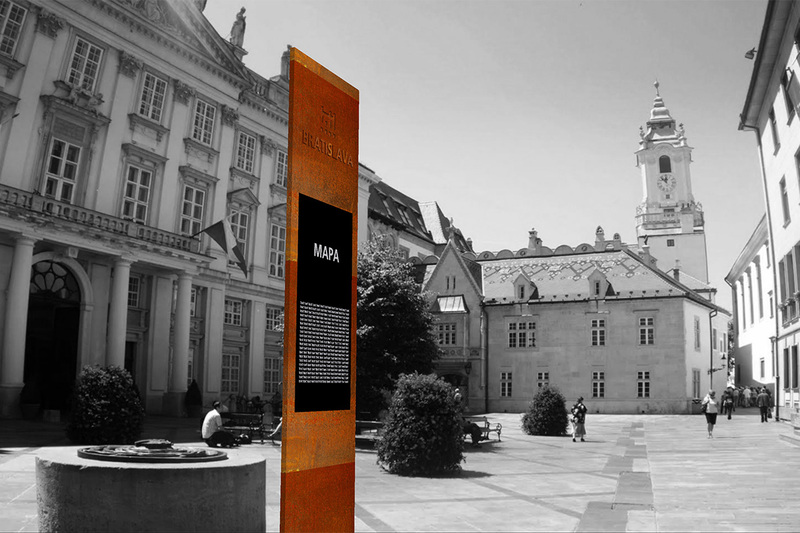 The information panel project brings tourist information panels into the center of Bratislava. They are meant to provide simple orientation to tourists as well as to the town inhabitants, offering sufficient information on a given space in three languages, and also an orientation map of the town, as well as the possibility of QR code scanning, which would make further information accessible. Similar information panels can be found in almost any larger town in the world. Bratislava could thus show it can keep up with current city trends. A special thing about the panels is the material they are made of. The proposed panels should be made of weathering steel. 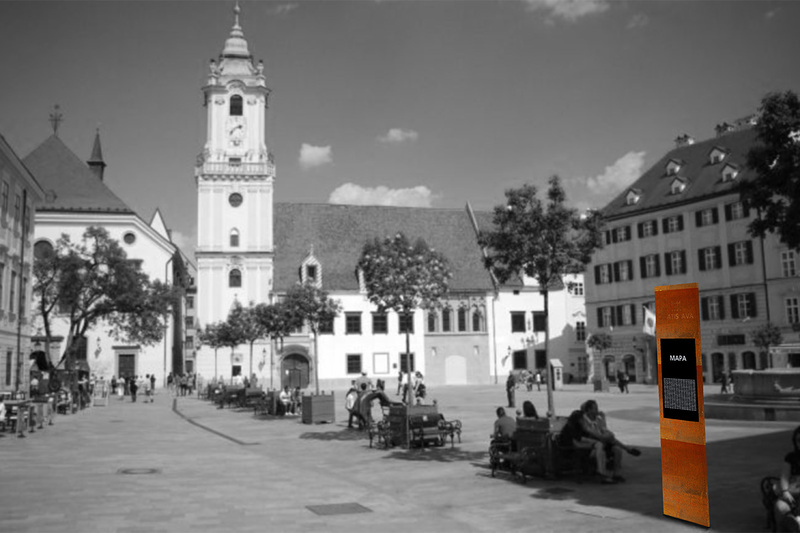 There should be a Bratislava town logo (the more modern version) engraved into the upper side of each of the panels. 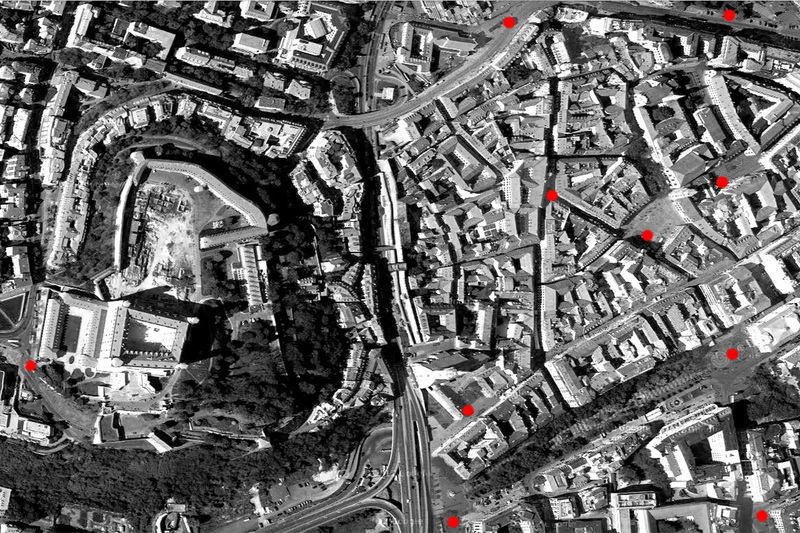 The choice of potential installation locations would require further communication with multiple local authorities.